Innovation has always been regarded as the core driving force for business upgrading and transformation; and by now, China is the second country in the world with the largest R&D investment, just after the US. Guangdong province, which is one of the pivotal production bases for China’s plastics and rubber industries, actively promotes the realisation of high-end, intelligent and green manufacturing. It is estimated that by the end of 2018, the number of above-scale industrial enterprises in Guangdong with the establishment of R&D centres will reach 23% or above; while the number of provincial-level enterprise technology centres, key laboratories, engineering centres and laboratories will increase to 2,800, unveiling the growing importance of R&D among Guangdong enterprises. According to the "Three-year Action Plan on the Implementation of Restructuring and Upgrading of Industries of Guangdong Province (2015 – 2017), the advanced manufacturing industry and high-tech manufacturing industry of Guangdong saw a growth of 10% from a year earlier, accounting for 50% and 27% of the provincial-level above-scale industrial enterprises respectively by the end of 2017. Further to being the manufacturing hub of electrical and home appliances, automobiles and packaging products, etc., the Southern China will soon revolutionise into a RMB100 billion worth of 7 strategic emerging industries cluster, which includes new information technology, biomedicine, new materials, LED as well as energy saving and environmental protection. With the support of government policies, the demand for new materials and new technology by Guangdong enterprises will surge. Against this background, Chinaplas 2017, will take place in Guangzhou from 16-19 May 2017. The show is expected to occupy 250,000-sq m exhibition area with 3,300 exhibitors, featuring a full spectrum of exhibits in seamless connection with “Intelligent Manufacturing”, “High-tech Materials” and “Green Solutions”. 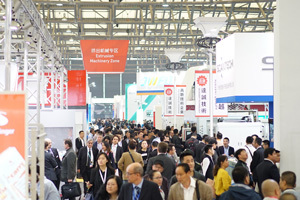 Chinaplas is organised by Adsale Exhibition Services and co-organised by China National Light Industry Council - China Plastics Processing Industry Association, China Plastics Machinery Industry Association, Guangdong Plastics Industry Association, Messe Düesseldorf China Ltd., the Plastic Trade Association of Shanghai and Beijing Yazhan Exhibition Services Ltd. 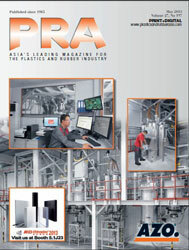 The event is also supported by various plastics and rubber associations in China and abroad. First introduced in 1983, CHINAPLAS is China's only plastics and rubber trade show approved by UFI (The Global Association of the Exhibition Industry). 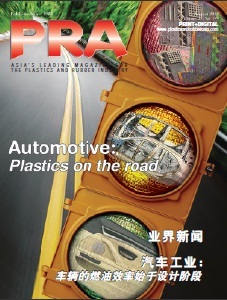 CHINAPLAS has been exclusively sponsored by the Europe's Association for Plastics and Rubber Machinery Manufacturers (EUROMAP) in China for the 28th time. CHINAPLAS is currently Asia's No. 1 and the world's No. 2 plastics and rubber trade fair.